Very desirable Kingston Ridgewood neighborhood w/ deeded beach rights to Kingston Lake! 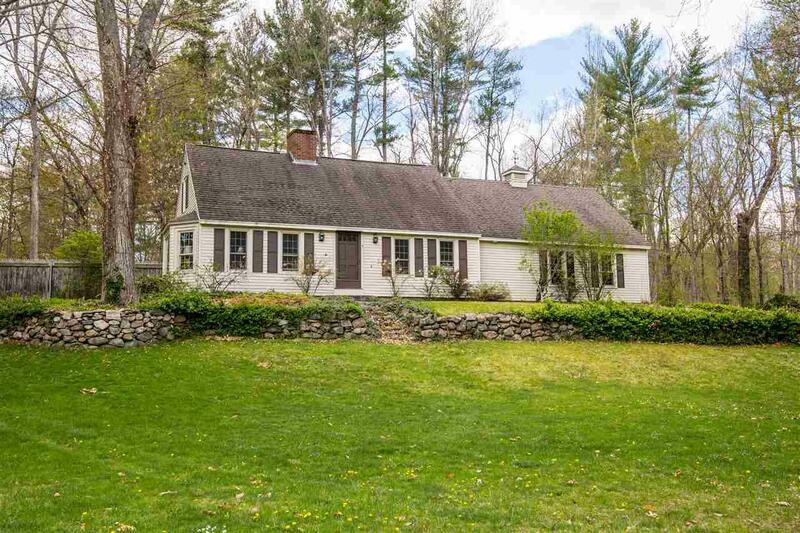 Charm & character abound in this spacious 3 Bedroom, 2 Bath Cape on beautiful picturesque lot. 4 season Sunroom w/ propane stove & tile floor overlooking private garden oasis & bird paradise/sanctuary. Silestone Kitchen w/ tile backsplash 1st floor Master Bedroom w/ 3/4 bath access, walk in shower. Open Living/Formal Dining rooms boast wood floors, exposed beams & cozy wood burning brick fireplace. 1st floor mudroom & laundry. Second floor with 2 large bedrooms & full large walk in closets with double doors, full bath. Lower level finished Media/Recreation room with wood burning fire place, builtÂ­-in sound system, bar & cedar closet. Newer tiltÂ­-in windows, architectural roof shingles, vinyl siding, attached two car garage, Well-McClain furnace, generator hook-up, this home is nearly maintenance free. Neutrally painted throughout. Great shape & sold "as is". (Gas Stove in sunroom. $50 annual fee for Ridgewood Assoc: Deeded Beach Rights, Boat Slip/Dock, 2 sandy beaches, swimming raft, picnic tables, boat launch, storage for your kayak/canoe. Beach is only short .3 miles from house.) 1st showings start on 5/7/17.